Yesterday the High Court (TSJ) ruled on a matter where they should not be ruling: they decided that the PPT direction was not kosher, dismissed it, allowed for three "groups" and barred all of them from supporting any candidate until they sorted matters out. That is, if one of the fractions has enough money to block the other two they could manage to make sure that the PPT cannot present Henri Falcon for reelection in Lara. That other parties can sponsor him is irrelevant, in a perverse way. It is time for a short update before the next primary presidential debate of the Unidad rolls around next week end, if confirmed. Nothing really major has happened, except that the number of candidates has gone up from 5 to 6 with the inclusion of Pablo Medina. This is not expected to change anything as Medina at best would have some influence in Bolivar, Caracas, Zulia and Aragua. It is too early to make any evaluation of sorts although I have the feeling at this point that the only regions still up for grabs is Oriente and Guyana, and thus the primary will be decided there. But we will discuss that when the time comes. Otherwise, for the rest of this update we will discuss the potential crisis that could fall on the Unidad anytime, all of its own making if you ask me. It should not be difficult to understand why the Venezuelan Electoral Board (CNE) creates so many difficulties for Venezuelan to vote overseas. Except for a very few counted places (such as Havana) the anti Chavez vote overseas is o-ver-whel-ming-ly anti Chavez. This is so lopsided that the CNE still has not reported on certain international results such as the 2007 referendum that Chavez lost (with what margin he lost overseas must have been quite a whooop!). So today reports abound on all sorts of hassles in Venezuelan consulates if you try to register there to vote (no mail ballots for us!, if you live in, say, Atlanta, you need to fly to Miami to vote). But courtesy of activists of Voluntad Popular this may start to change some. The first item is reported in El Universal today is an interview with Carlos Suaréz who, tired of all the troubles he and others experienced to register, decided to take actions. It took form as a law suit, and unbelievably it worked. Well, half way, as the regime owned justice accepted to at least study the issue, ruling on it eventually. Chavez's drugs must be working, at least good enough to give him the energy to remind us that he is the big honcho around. But what to do? No governmental plan is working, unless you believe the propaganda claims that 100,000 houses have been built and that the jobless rate of Venezuela dropped nothing less than 0,8%. Take that capitalism! Fortunately there is something that always tickles the lumpen hoi polloi: confiscate goods and give them away at "popular markets". The hoi polloi does not care whether these are state stolen goods, they are now used to help themselves by ransacking trucks stopped in traffic jams. The hoi polloi does not care whether these seized goods are a retribution to hoarders: the hoi polloi has learned long ago to pillage and hoard their loot to resell it at good price to their neighbors. After all, we have no news of anyone looting a truck of goods being punished for that. Why should they not keep pillaging, or even better, applaud Chavez when he does that for them? So Chavez completed his threat and started bringing back the Venezuelan gold reserves safely stored in several banks so as to put all of them together in a Venezuelan location where he will be able to dip as needed, without any control or record. Safety is now gone. There is nothing new on this topic on what we already discussed when announced. However I will invite you to visit the link of the mains state VTV on the procession today when the first shipment arrived. Even if you do not read Spanish the pictures will tell you it all "people's jubilee for the return to the fatherland of the first shipment of gold to the coffers of the BCV". I kid you not, this is the translated title. Nobody in the VTV article seems to find it odd that the liberated gold was actually available for repatriation without any trouble. That is, it was Venezuelan...... the manipulation of the whole story apparently even missed the unself-conscious Chavez sycophants. There has been quite an effervescence around the "ley de precio justo" or "ley de escasez" as its opponents call it. To the point that I have readers (in plural) complaining that I had not discussed it yet. I will not, at least not in the details because that law intended to fix how much a margin you are allowed to include in your final price is NOT an economical measure but 99% a political one. Thus I will start by the 1%. Certainly, in time of great crisis, you may decree that for a few weeks or even months you may forbid people to increase prices (same thing as telling them how much they can make). When the crisis is over, we are all back to normal. This bears no discussion: there have been so many such schemes through history, 99% of them having failed, and 1% having worked up to a limited point at best, that there is no need to revisit an issue that has been settled long ago. Markets rule. You can restrain them somewhat, avoid excesses, but markets rule. Otherwise there is no more market, no more choice, single products when you can find them. It is called communism, war economy and such similar names. Even chavistas know that (with the possible exception of Giordani who at this stage I am seriously starting to question any sanity or any sense of shame left in him). It has thus to be a political law. Let's see why. To all our US friends, have a greeat Thanksgiving! But this year I shall not be as jealous as for the first time in over a decade I will attend a real home made Thanksgiving in Caracas instead of the now lousy dinner at Lee Hamilton where they do not even bother to whip somewhat the canned cranberries to remove at least the imprint of the can..... I shudder at what new low they will descend this year with the excuse of "escasez" and the irrepressible will of Venezuelans with money to be fashionable and put up with a pretend Thanksgiving feast. Still, we all have to work tomorrow and Thanksgiving will be a dinner date and not a mid afternoon gastronomic saturnalia. Friday morning we'll be a little bit heavy to head back to work. And since I am driving, that I can do few things besides suggesting menus and recipes (I am the one with "experience" and in charge of the speech), my job is bringing wine. What do you think? Good Merlot is the best able to take care of the Turkey Day variety? Or maybe Argentinian Malbec? 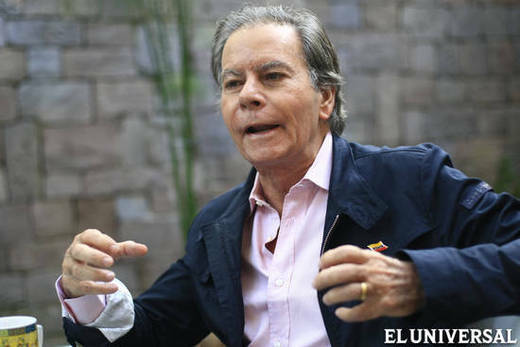 There has been some heated discussion as to whether Diego Arria should attack Chavez the way he does. I personally think that he has the right to do so and that it is a valid strategy at primary level. How he does his attack is on the other hand something fair to discuss because there are useful and useless ways to critic/attack. But that is another post. At any rate, one thing certain is that Arria has been receiving press, rather good, in most newspapers (the governmental papers are mere propaganda and useless to evaluate). Today this OpEd in Tal Cual from a certain Gonzalez that I am not familiar with makes a good stab at evaluating how pertinent it is to confront Chavez. In Spanish but Google translator works better and better, use it! En la recién comenzada campaña de los precandidatos de la oposición a medirse con Chávez en los comicios presidenciales del 7 de octubre del 2012 se perciben varias diferencias sustanciales entre ellos y no podía ser de otra manera puesto que la coalición democrática es bastante plural, amén de las diferencias de estilo y personalidad propios de cada uno. Really, did we give away 2 billion dollars? Following up the fishy story exposed by Alek, examined by Miguel and reported by yours truly and Gustavo (with the adequate doubts), there is nothing but a note in El Universal today where Merentes denies everything. Unfortunately even if Merentes is fully innocent (that would be a first), someone had access to enough info to get such a scheme set up. And part of that info ought to come from the BCV. To be continued. The bond seems to be processed through an Isle of Man firm (tax heaven, by the way) whose declared values are a mere 2,000 pounds. One pound supports 1 million dollars. Surely there is something legal somewhere to justify that but at the very least the ethics are to be questioned. I mean, a 2,000L company could well serve to finance, say, an industrial project worth a couple million dollars. But a 2 billion bond issue? Do 2,000L even manage to pay the computer and desk required to control the financing? The Unidad candidates debate of last Monday seems to have given us a new darling through Diego Arria. We must admit that he is operating quite a remarkable comeback, if you ask me. Not that he may win the primary votes next February though he seems very confident; and indeed three months is a long time in politics. But I suspect that he is now in a position to influence the debate in such a way that he may just become a king maker of sorts. His first and most beneficial offering to the current political debate is to remind the Venezuelan public that after 13 years of propaganda and denial from the chavista regime that nothing pre-1998 was worth discussing, and even less saving, there is something worth retrieving. For example Diego Arria started his modest campaign by walking as a mere citizen in Caricuao visiting places he had inaugurated when he was Caracas governor in the 70ies. Needless to say that many of them today are semi destroyed because nobody paid attention to them, places which with a little bit of care could still be very helpful to a very battered community. Estoy siguiendo en directo el escrutinio de los votos en España. Todo manual. Una hora después del cierre de las urnas en España (y cerraron todas) cierran las de las islas Canarias. A penas cierran en las Canarias y ya el ministerio del interior, cuyo ministro es un socialista que coordina el acto electoral, nada de CNE por esos lares, da el primer parte con 13% escrutado con ya amplia ventaja al partido de oposición. Media hora más y ya los votos escrutados pasan del 20%. A las 9:35 PM, 1.5 horas después de cerrar en Madrid ya son 64% escrutados. ¡Ha! Se me olvidaba mencionar que a las 8 PM al cerrar las urnas, sin que cierren todavía las de Canarias, se autorizaba a publicar los sondeos de boca de urnas, a pesar de unos cuantos todavía estaban esperando dentro de los centros de votación su turno. 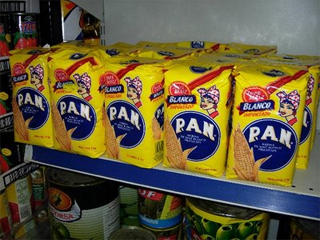 ¿Les suena esto como conocido? Leemos en la BBC el canciller de Siria diciendo que el envío de observadores por la liga Árabe seria una violación de la soberanía Siria. Todos esos hampones dictatorzuelos son lo mismo, y la hora de las chiquitas se escudan detrás de un nacionalismo ramplón. Aquí en Caracas o allá en Damasco. The vote tomorrow in Spain is quite remarkable although not for the reasons that your average pundit will advance. The result is well known, the only question remaining for tomorrow is whether the Partido Popular will get a majority of its own in the Cortes. No, the remarkable in that election is elsewhere. First, when we see the disasters in Italy and Greece, disasters that not only Spain seems to have escaped so far (the political disaster, not the economic crisis, mind you) we get the tale of a country where democracy and institutions seem much better entrenched than what one would have predicted not even a couple of decades ago. And this election seems to confirm that the Spanish political system is not ready yet to give itself up to the first Berlusconi that shows up, or to your average Greek-like pimp leadership. With Chavez we cannot even give him the benefit of the doubt since he steals money for the most useless causes. At least Gomez invested most of what he stole in Venezuela, buying cattle ranches and paying off Venezuelans to get peace. Chavez just grabs money and throws it out the window. Indeed, if there are mega scandals of fraud or corruption like the millions of tons of food that rotted, there are also "lesser" scandals such as the millions given to the F1 Williams team for no return to the country whatsoever. Our own Alek Boyd has it all, this time around working with Representative Ramos. I am going to have to really, really consider that EFE news agency is financed by Chavez because there is no other way to explain its idiocies. Today they just take at face value the words of Chavez in yet another cadena as to the opposition not recognizing its victories and planning a coup. As their usual willful refusal to learn about Venezuela they seem to ignore that the opposition did recognize the victory of Chavez in 2006 but that Chavez did not recognize the opposition victory in Caracas in 2008 and in parliament in 2010. Among the fall out of last Monday presidential debate, I am bewildered about the lack of understanding of the event by the general populace, and even more befuddled by the wish to design a winner/loser at all cost by pundits that should know better. To the point that I am having serious doubts about whether it was all worth it if people are going to misinterpret it all. Not that I hold the truth, mind you, I am just pointing out at the overheated hyper-ventilation that I heard here and there. Thus a few points, as usual in no particular order. A friend coming back from France after a stay of several months showed me the following envelopes that he received while there. These envelopes had been opened by the Nazional Guard of Venezuela as you can read on the resealing tape if you click on the pictures to enlarge. These envelopes carried business items that required signatures: contracts, loans, sales, etc.. Just normal stuff that he is required to sign as he is one of the owners of the business but not working there anymore. 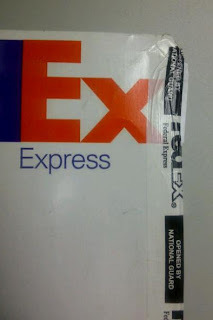 The envelopes used were standard Federal Express ones: that is either the larger plastic fiber ones to ship single books or dossiers, and the flat thin rigid cardboard ones to ship letters of no more than a dozen pages. In other words envelopes that can not be used for drug trafficking, or in small amounts for personal use so to speak, or that any dog can sniff by simply clipping an edge of the envelope if the border police wished it so. In other words, there is no justification to open these envelopes, and even less justification to open so many of them. But that is not all, it happens with the other international carrier too, DHL (he receives about 3 envelopes a month between both of them, all of them opened by the Nazional Guard in the last three months). The five candidates who want to hold the unity banner against Hugo Chavez gathered tonight for their first debate (first, I write optimistically as there is no certainty that further debates will be held). The good news is that there was no clear loser or winner. That is, all accounted for themselves, more or less felicitously, but all demonstrating that they can be a better president than Chavez. The debate had a clear amateurish feel because it was organized by student movement. As such every student union of the major universities that oppose Chavez was allowed to send a representative to ask on the subjects of education, personal security and employment. We are talking a dozen universities here, which contain among themselves 90% of the best and brightest. That was good. What was amateurish is the set up and the moderator. But still, it all worked out in the end. The individual performances, in no particular order. El Salto Angel no será una de las siete maravillas naturales del mundo, y el que suscribe se alegra. Cuando salio el concursito ese del suizo Weber recibí no se cuantos e-mails pidiendo mi voto, que lo promocione en mi blog y otras cosas que por supuesto no cumplí. La primera pregunta es ¿Que puede aportar un concurso tan estúpido a nuestro Salto Angel? Nada bueno. Imagínense este régimen vanagloriándose de una victoria allí y creando un sistema "popular" de turismo al Salto Angel que termine en una venta de chicharrón "con pelo" donde desembarcan las curiaras al Salto. No es que el Salto se haya salvado, por ahora. 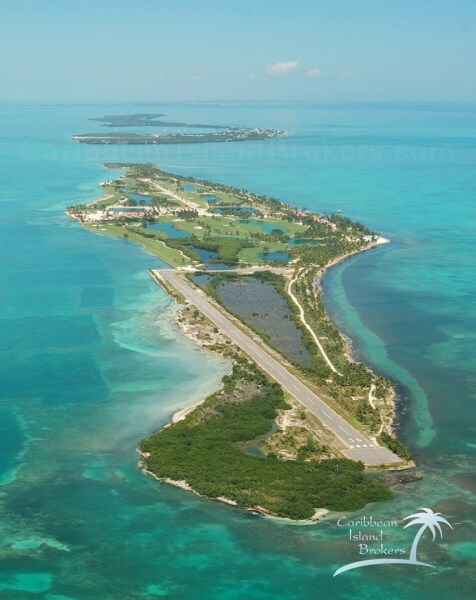 Es que este des-gobierno ha jodido cualquier encanto natural que Venezuela tiene, desde invasiones a parques nacionales hasta los invasores salvajes en Juangriego, sin hablar de el desastre del entorno que cultiva fervorosamente desde la lemma en el Zulia hasta lo que botan por las ventanas las busetas en la vía. Así que nos toca alegrarnos porque el turismo internacional palurdo se interesará por esas nuevas 7 maravillas y nos olvidará por un tiempos mas, sin darle mas ideas nocivas al régimen. Total, todos los que han ido a Canaima, y pujaron hasta el Salto Angel saben muy bien que Churun Meru es un sitio fuera de cualquier categoría humana. The regime must be reaching some sort of paroxysm. This one might be due to a croaking Chavez, to bad polls, or simply Chavez ego unable to stand that headlines are regularly about the Unidad primaries and programs and not his own ego burps. There is really no other explanation to his latest rant at the formation of yet a new Labor Confederation, "central obrera" and the promises that came with it. First, let me make something clear: from personal experience I have a dismal view of Venezuelan trade unions, even before Chavez. They are particularly corrupt and strictly interested in sucking dry business so the trade union leaders can live well. Why workers vote for such unions has baffled me, unless they put up with their union bosses in the hope that one day they can become union bosses in turn. Though as always there are some reasonably honorable exceptions where union bosses establish a collaboration with direction so that all benefit. At any rate, you can certainly imagine that a new trade union organization dedicated to Chavez, the boss of most of them to begin with, is certainly going to reach heights that the old CTV could not dream of. 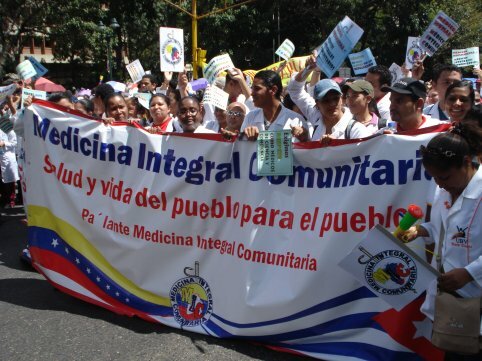 One of the latest scandals that I have been meaning to write about is the case of the "medicina integral comunitaria". They are folks that are about to be unleashed as full doctors in the Venezuelan public health system without the knowledge to take care of the people that go to such hospitals. But before I get into the subject indulge me a personal reminiscence. One of my very close friends is a Nurse Practitioner (and a PhD in public health). She is close enough to have visited me 4 times in Venezuela since I left the States which is quite something if you think of it for a US citizen in an academic career. I met her while she was supporting her PhD expenses working as a NP and I gained then a considerable respect for that degree, thinking it an essential part of the US medical system, a part sorely missing in either the European system (I think) and certainly in Venezuela. In brief, had I remained in the US she would have got my power of health to make sure that I would be unplugged if worse came to worse. That much I trusted her medical knowledge. Well, there are news that you cannot escape even in vacation, even if you do not care much about baseball. Home for the winter Venezuelan league, Wilson Ramos catcher of the DC team, has been spectacularly kidnapped in his own Venezuelan home in the middle of his family and friends! Talk about a way to bring out the reality of Venezuela crime in the US, even if we are talking of a rookie player! Agradeciendo a una hada madrina que quedará anónima he ingresado hace unas semanas como comentarista en una sección de El País de España. Es obvio que cualquier colaboración solicitada por El País es un gran honor y una gran responsabilidad. Los primeros análisis de las últimas noticias. El debate es un espacio dedicado a analizar diariamente los asuntos internacionales más controvertidos. De lunes a viernes, El País aporta las opiniones y críticas de un selecto pero amplio grupo de especialistas sobre las informaciones de mayor calado. This is kind of a useless post but since I am on vacation, and drinking wine as I type, I thought I could indulge in commenting about the guys who signed up to run for governor in December 2012. No, this post is not about COPEI endorsing Maria Corina Machado. They did not do it, instead going the way to endorse Pablo Perez as expected. And we can even read in Entorno Inteligente that this places Pablo Perez with 2.940.440 votes. Mind you, not "around 3 million" or almost 3 million" or "a solid 2.5 million". No, in all confidence PP has 2.940.440, in sharp contrast with yours truly that gives him a potential of 2 million at best.... Entorno does not seem that Inteligente if you ask me. The big news in today's Unidad politics is that the race has become "old time politics" versus "renewal". The old time politics come form that final endorsement of PP by COPEI, rounding up around him all the old parties, and presumably all the old ways to settle scores. We cannot wait for the small last dinosaur, MAS, to endorse PP and make the caricature whole (after all, Petkoff and Tal Cual seem to have endorsed PP). For the other candidates all the new parties (PrVzl is, after all, barely a decade older than PJ already almost a decade older than VP...). Suddenly and unexpectedly the primary election is becoming truly a generational change. Either it is the last chance for COPEI and AD to revive or for the new political world will emerge once and for all (including chavista transfuges like PODEMOS). Let's note that this is fraught with danger because a trashing of PP could make many AD and COPEI stay home in October 2012, if you ask me. If the support to PP of COPEI was today THE symbol of one side of the race, the interview of Maria Corina Machado on Globovision was the other side of the coin, the new language that the other candidates are fermenting slowly, but already bubbling in MCM. She came across as forceful, precise, with a message of a clarity that we have not heard in years in this country. In fact, I do not recall any politician being as clear as she was tonight. Maybe it will cost her votes because she might scare people expecting promises as usual, maybe she will start climbing in polls (I think she will), but that is not the point. Tonight MCM was the expression of a new Venezuela emerging, with Leopoldo and Enrique. And apparently not with Pablo. What do you know folks? The primary election has become way more important than we already expected. So pollster Oscar Shemmel of Hinterlaces made a rare appearance in VTV to expose his latest poll findings, with a twist in their interpretation. My conclusion? If what he says is true then we are a country of idiots and we deserve what is happening. UPDATE: do yourself a favor and read the Economist article on Greece, including corrupt trade unions that are confident that Europe will keep bailing them out and thus why make sacrifices. I sure hope that Greece votes itself out of Europe. So Venezuela like, also, in that mentality of worry not, we will always be able to loot the state/Europe/the rich/[insert constituency of your choice]. I have had very little sympathy for the Greek tragedy playing now. It has been at least two decades that people in the know were aware that the Greeks were taking Europe for a ride, chuleandosela, as we would say in Venezuela. The father of the current Greek prime minster is the one who taught the Greeks to use European development funds to buy votes by spending them in populist measures in lieu of hard investment. The New Democracy simply followed suit and it became a competition as to which side knew best to milk Europe. Why Brussels allowed it is one of the interesting chapters to be written about the European Union history books. Today Leopoldo Lopez and Maria Corina Machado registered their names officially for the primaries. That meant hey brought a big fat check and for MCM who has no party behind her, 200,000 signatures. Looking through the news tonight I run into the account by Correo del Orinoco, one of the chavista rags that self qualifies as "artilleria del pensamiento" (gunnery of the thinking?). To bring you up to speed, this is the newspaper that has an English section edited by Eva Golinger. Now you know. We should always remember that the MUD is first and foremost a collection of interests including people far from winning anything getting a chance at a back seat. Today the MUD decided that Miranda State will have primaries for governor the same day than the presidential primaries. This had as an immediate effect in forcing Capriles Radonski to chose for which primary he wants to run, just as he is on top of polls. But curiously Zulia is not asked to hold a primary which smooths the way for either Pablo Perez or Manuel Rosales to get the nod as they please. Primero Justicia of course complained loudly, through the voice of the guy that would replace Capriles on the Miranda ticket, establishing that it was more about fairness than anything else. 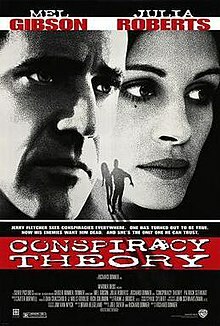 Since many of you have been reading on the bolibanana revolution for so long I presume that by now you have approved conspiracy theory 101 and we can move on to the next stage. There a few ones floating around these days, induced by the uncertainty of Chavez croaking. Thus I am going to list some in no order of importance. This is the one that Milagros Socorro offered in her El Nacional column this week end. According to her the latest rise in military paycheck is to tie them down with Chavez. He would be needing their support so that after election day on October 7 a victorious Chavez could ask for a constitutional referendum to remove the rank of governor and mayor. And thus the December governor elections would have no point being held anymore.